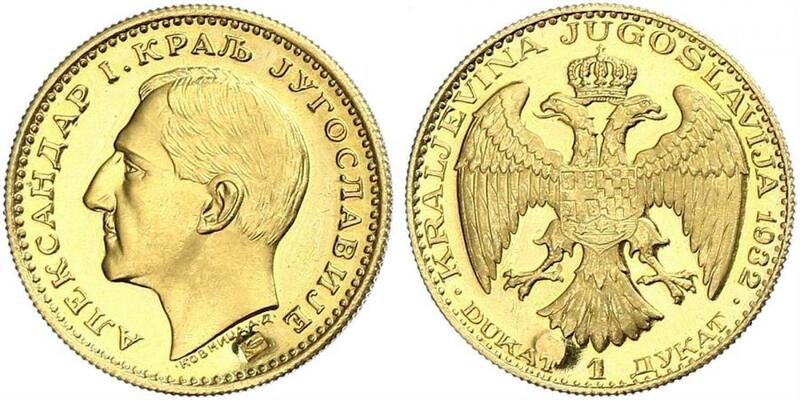 1932, Yugoslavia, King Alexander I.&nbsp; Proof-Like Gold Ducat (ДУКАТ) Coin. 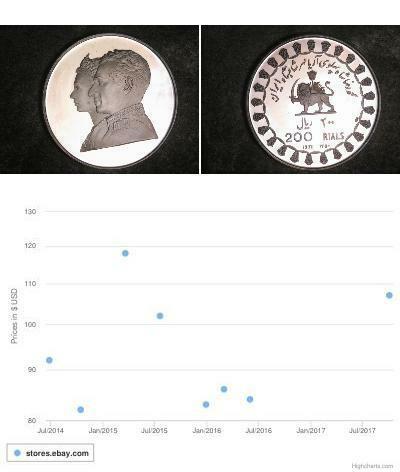 3.5gm! 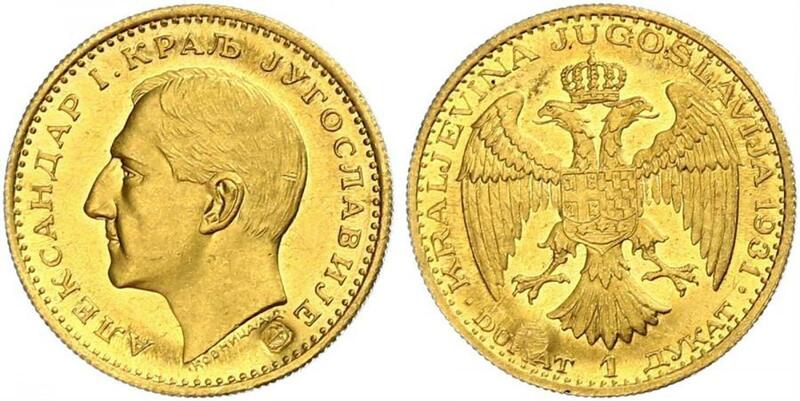 Obverse: Head of King Alexander I left. Mint name (KOVNICA.A.D.) below bust truncation. Comment: Official countermark (ear of corn) below bust truncation! 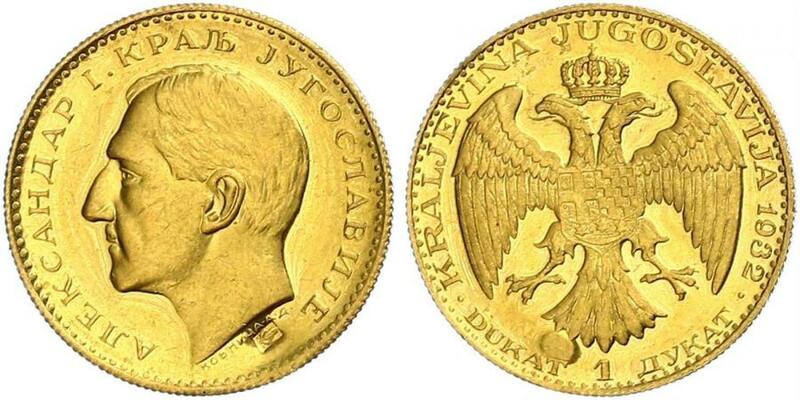 Translated legend: "King Alexander I. of Yugoslavia" &nbsp; Reverse:Crown above double headed eagle with arms of Serbia, Croatia and Slovenia at chest. Date (1932) in legend. 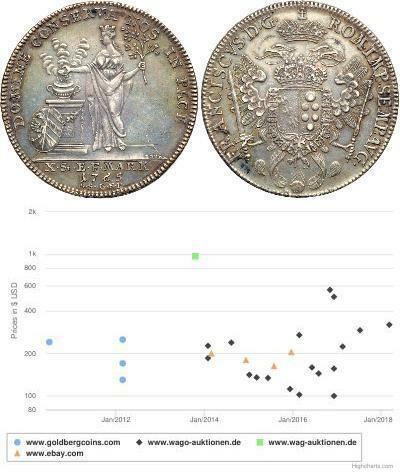 Legend: KRALJEVINA JUGOSLAVIJA 1932 . DUKAT 1 ДУКАТ . 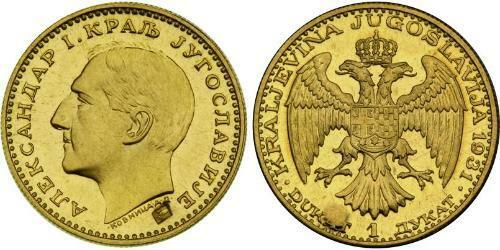 Translated: "Kingdom Yugoslavia, 1932, 1 Ducat"